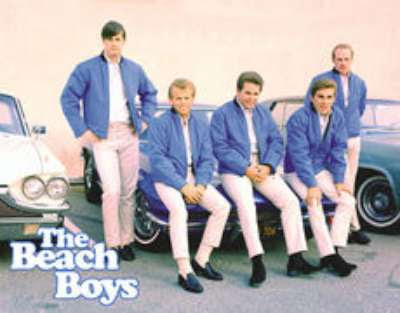 I just love the Beach Boys. What a messed up group of guys, though. This video is pretty funny - such a great 'performance' by all! I haven't seen a performance so stiff and awkward since my honeymoon. ...says that this is a classic sign of arrogance and self-confidence in men. But then again, the 'jock cup' hands held in front pose, as demonstrated by our friend Brian, reflects he's nervous and unsure of himself. Poor baby..
Deb: There's just something about the early 60s that makes me look back with laughter on the music and the fashion. Kirsten: My pleasure; glad you enjoyed it. 30: Interesting. Brian did indeed have his problems.